In today’s age, we are led to think about how we can continue to live, work and eat without harming our environment, while keeping it healthy for future generations. Below are a few simple ways Greenhaven is turning their print-related activities into eco-friendly “sustainable” choices. 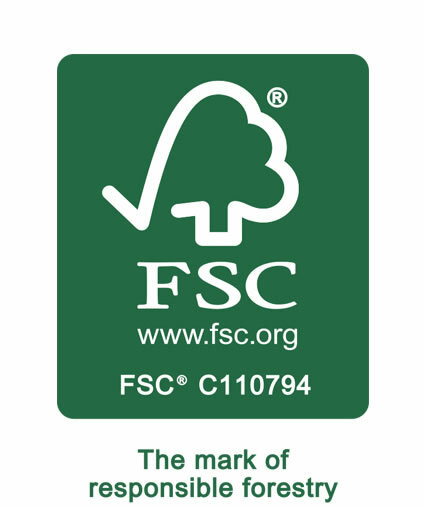 The Forest Stewardship Council® (FSC) is an independent, not for proﬁt, non-government organization established to support environmentally appropriate, socially beneﬁcial, and economically viable management of the world‘s forests. FSC’s vision is where the world’s forests meet the social, ecological, and economic rights and needs of the present generation without compromising those of future generations. The PDF has allowed for us as a company to have a virtually paperless office by giving people the ability to create and send electronic documents back and forth via e-mail, rather than printing hard copies and mailing. This leads to a reduced demand for paper and energy used to operate printers and copiers, which means reduced emissions and lower costs for you, our customers. We have paper available to our customers that contains 10, 20, 30 and up to 100% recycled content. Greenhaven also participates in an extensive recycling program, which includes paper recycling, metal recycling “plates”, oil, used ink, parts cleaner, office waste, plastics, cardboard, light bulbs, and pallets. Our website allows our customers to request an estimate and also submit files online. Not only does this speed the production process, it also reduces waste and carbon emissions through couriers. Traditional methods of securing proof approvals involve printing the job numerous times, deciphering customer comments, tracking and archiving detailed records, overnight mailing and couriers, audit trails, faxing and time spent shuffling the job back and forth. We utilize email proofing and approvals, which allows a quick and environmentally friendly process for our customers. We use energy-saving features built into systems, setting printers and copiers to “standby” mode after 20 minutes of non-use. Simply activating the power-save features on desktops can save 50 or 60 percent of the energy wasted when computers are left on, and idle, for 24 hours a day. Dimming the monitor, spinning down the hard disks and putting the drive to sleep are all simple steps that help reduce air pollution. By using vegetable based inks with no or very low Volatile Organic Compounds (VOCs), we greatly minimize potential health risks to ourselves and others.